Are Merchants Interested in Decentralized Payment Network — Why and What’s Standing in the Way? 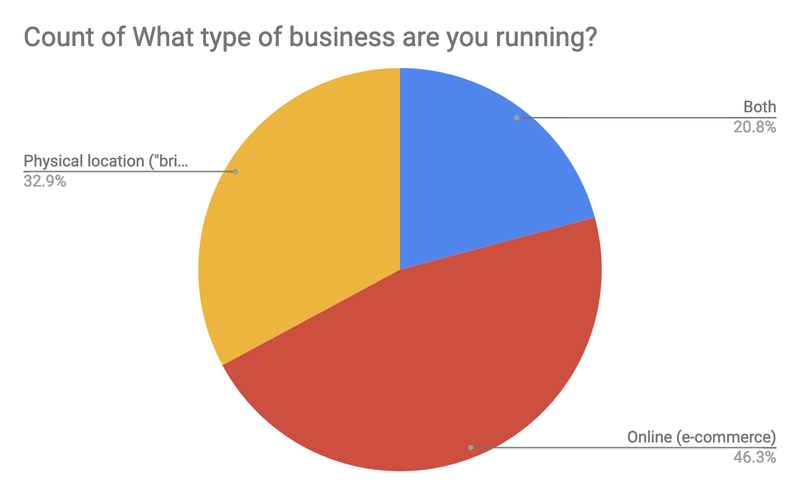 What our long running survey has taught us..
About a year ago we started collecting data from merchants who come to visit GRAFT web site, trying to learn what we can about what’s driving their interest, what challenges they see with the current solutions, what features they care the most about. Given that we haven’t done any significant marketing and the link to the survey is buried inside the site, the fact that we got over 250 responses is telling in itself and allowed us to get some really good information about the market and network users. We thought it would only be fair to share the findings and information with our community and blockchain community at large. Out of the choices that were provided, appealing to new customers rated as #1, followed by fee reduction and marketplace perception. Some other “freestyle” answers included limited options when it comes to available payment processing solutions due to the industry type and affinity for decentralization and progressivism. 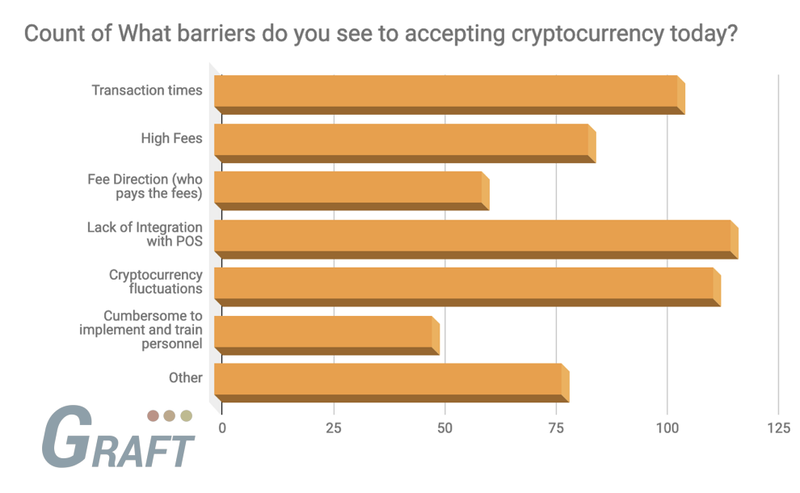 Lack of integration with POS and Cryptocurrency fluctuations were cited as the top barriers to adoption, closely followed by transaction times and high fees. 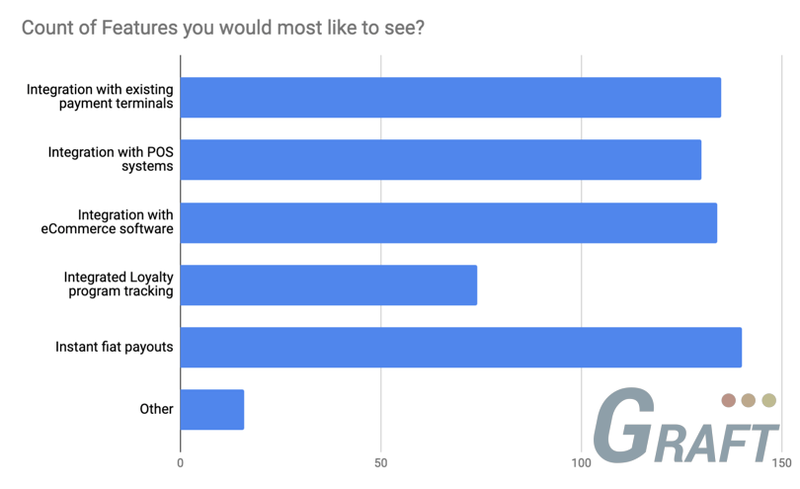 When asked what features they would most like to see, fiat payouts along with integration with payment terminals, POS, and e-commerce lead the pack. The breakdown of “brick-and-mortar” vs online vs hybrid is what you would expect and is consistent with the retail/e-tail overall industry breakdown (we’re not referring to locations here obviously, but the number of distinct entitites). 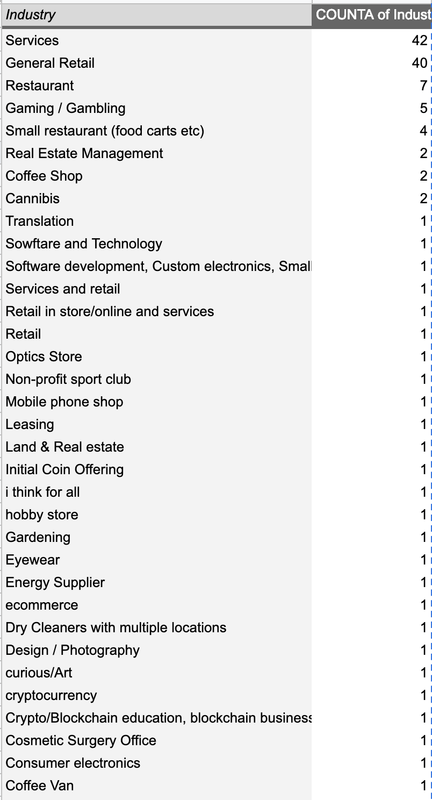 We didn’t start collecting industry data right away and when we did, we committed a cardinal sin of polling and mixed less specific categories (services and general retail) with more specific ones. 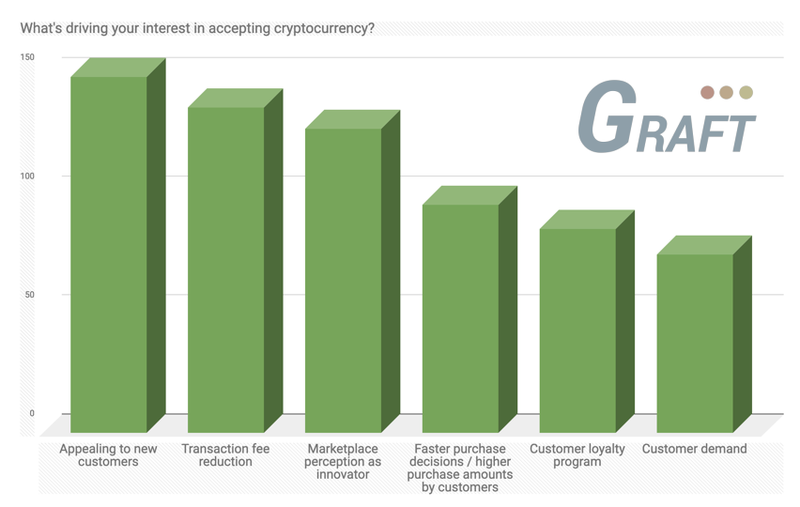 Never the less, some of the data here is interesting providing a feel for the breadth of business profiles interested in accepting crypto. The geographic coverage of the the merchant interest and project reach has also been quite impressive, with list of respondent countries covering 49 countries in all continents. I am not sure… Using SmartPhone is it ? Im not using at the moment.